There is more to the Avocado than great taste and amazing texture. 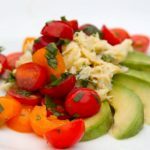 Check out the 13 Amazing Health Benefits of Avocado from Mairanutrition.com and find more recipes that feature the avocado!!!! 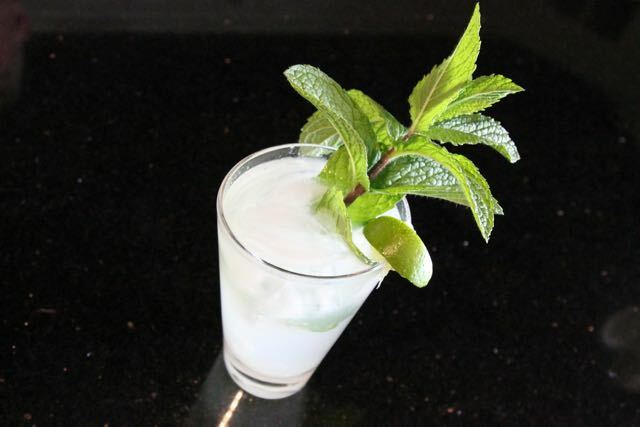 In a small bowl or measuring cup whisk the lime juice, olive oil, honey together until blended. Season with 1 teaspoon of the jalapeno, 2 teaspoons of the chopped cilantro, salt and pepper. 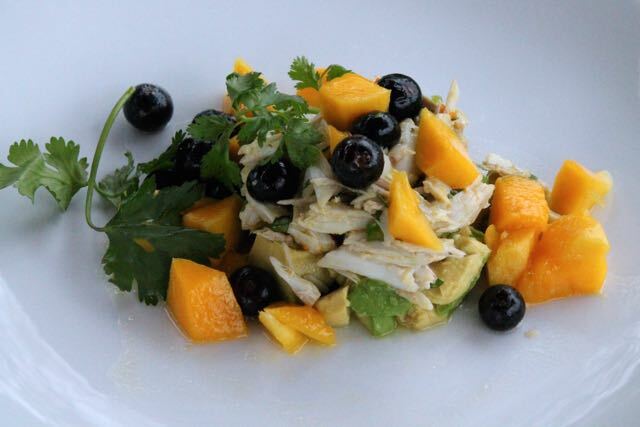 Toss the crabmeat with 2 tablespoons of the chopped shallots and 1 tablespoon of the chopped cilantro in a small bowl. Season this with 2-3 tablespoons of the dressing and salt and pepper to taste. 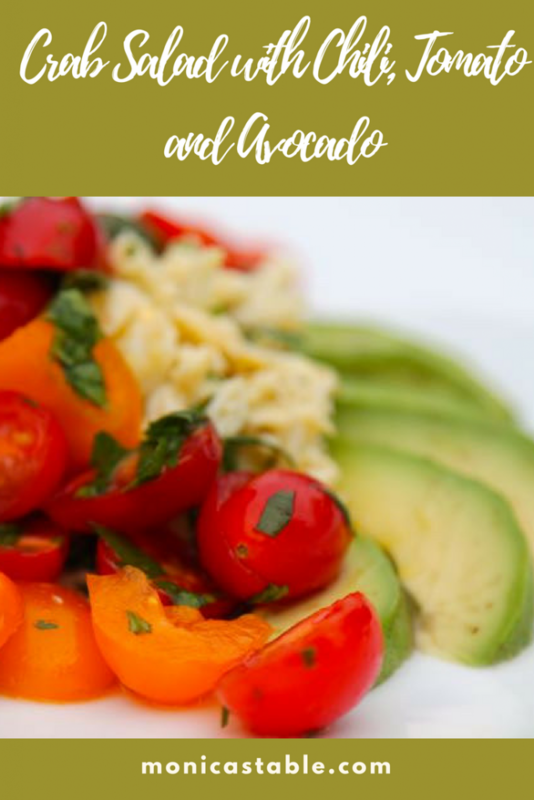 Gently toss the cherry tomatoes, the remaining shallots, 1 tablespoon of the chopped cilantro and 2 - 3 tablespoons of the dressing in another small bowl. Season the mixture with salt and pepper. 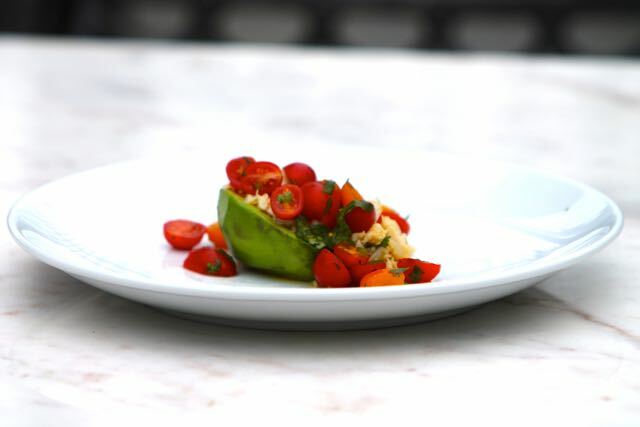 When you are ready to serve the salad prepare the avocados as desired and arrange ½ of an avocado on each plate. 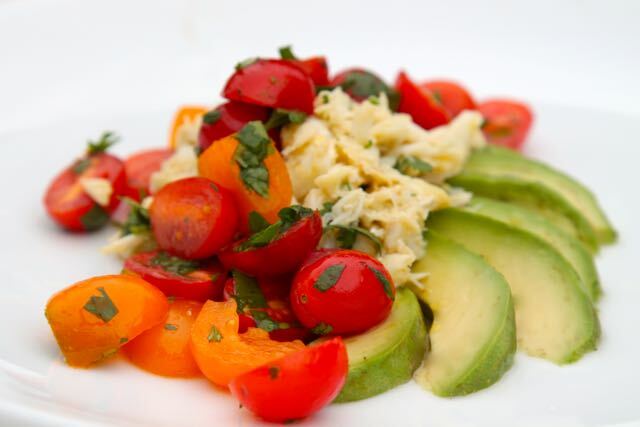 Spoon some of the remaining dressing over the avocado, top with the crab salad and tomato mixture. Drizzle a spoonful of the dressing on top, garnish with the remaining cilantro and serve. Variation: Chop the avocado and mix it with 2-3 Tablespoons of the dressing. 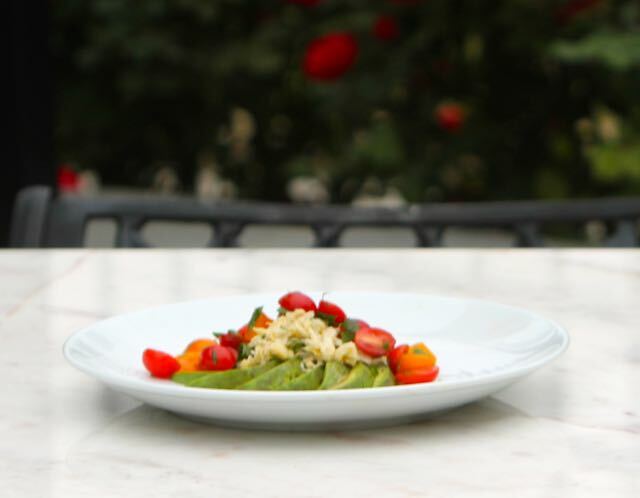 Layer the salad into a martini or other glass and serve or take the salad to a picnic in individual jars! #Inspired to buy martini glasses! 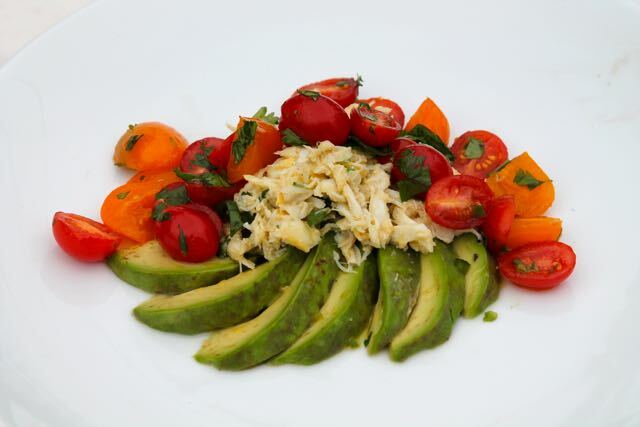 Such an elegant way to serve salad =) Especially your crab salad. My late father would’ve loved your touches of jalapeño and cilantro. What a lovely and sophisticated salad. I can see that this will be a new go-to recipe for me now, too. I think this salad would be perfect for Mother’s Day or a warm summer day. I love all of the crab dishes you share.